Why do many of us know so little about WWI? Perhaps because America entered the war during its last year? Or is it because few understood shell shock and how to process the horrors of the trenches? While WWII is known for the “greatest generation,” WWI produced the “lost generation.” But WWI is not lost to Framingham. As the centenary of Armistice approaches in November this exhibit features seven local men and women whose stories speak to the larger forces at play in the first war that engulfed the world. 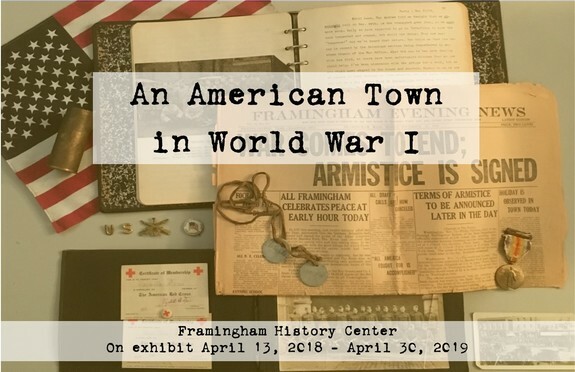 Innovations around flight and technology, the impact of the influenza pandemic, pacifism and suffrage are just some of the threads tying Framingham to WWI. 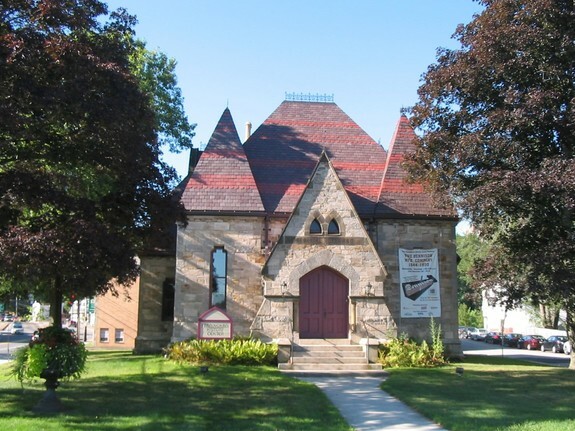 The Edgell Memorial Library has ramp access at the Library Street entrance with handicap parking available. From Mass Pike (I-90) Eastbound take exit 12 onto Route 9 toward Framingham. Bear right after tolls onto Rte 9 East. In 2.2 miles take slight right onto ramp toward Edgell Rd. Take left at light onto Edgell Rd and in .1 miles take left onto Oak St.
From the Mass Pike Westbound take exit 13. After the tolls bear right onto MA-30 toward Framingham. After 3 lights Rte 30 merges with Rte. 9 westbound. Continue through light by Whole Foods (on right) and in 1/4 mile bear right onto ramp with signs for Framingham State University and Rte. 30. At the light take a right onto Edgell Rd., and your first left is Oak St.
Take the next left onto Oak St, a one-way road. The first building on the left is the Edgell Memorial Library.